While on the one hand this is a good thing, as real life evidence might not line up with FDA clinical trial requirements, there are some legitimate concerns about safety. There are also other issues that arise as a result of the fact that marijuana is a also a plant – a plant that is grown on a farm like corn, or wheat, or tomatoes. Since we are also dealing with a crop, we have to make sure that cultivators do not use any pesticides that may harm people or even the environment. While there is oversight by the FDA on the drug aspects of medical cannabis, there is also no federal oversight from the United States Department of Agriculture (USDA) as we have with all other food crops. This is not to say there is no regulation, as states such as California do inspect marijuana cultivation sites and do require growers to comply with state environmental laws and agricultural laws. As our Los Angeles medical marijuana attorneys can explain, the new regulations in California consolidate many of these regulatory functions into a new state agency that will regulate most if not all aspects of the medical marijuana industry. There is also a high likelihood that the voters in California will vote to legalize marijuana for recreational purposes in the near future. If and when this happens, the already existing California medical marijuana office that was recently created will become a marijuana control office that will regulate the recreational sale and purchase of marijuana, as is now the case with alcohol. In fact, the new director of the medical marijuana agency was the deputy director for the Alcohol Beverage Control (ABC) office. In a recent article from The Denver Post, we see that a medical marijuana product known as Life Flower has just been the subject of a major product recall because state regulators learned that the cannabis was sprayed with an unapproved pesticide. There are various types of pesticides, and while some are allowed on non-edible plants such as trees and shrubs sold at nurseries, that same pesticide might not be approved for food crops. This particular pesticide was specifically banned for use on marijuana crops, according to a state official who commented for the article. 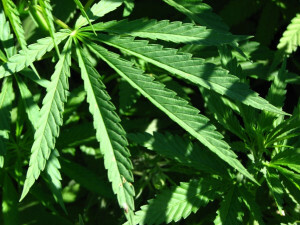 This most recent recall involved nearly 100 “lots” of marijuana crops. This particular product was known as Guardian, and while the pesticide was banned in January, there are still crops producing marijuana buds, and they should not be sold, but companies are still trying to get to the market to avoid losing a significant amount of money.